NO TIME LIMITS ON SHOOTING VISITS! Carter Shooting Supply has a state certified, climate controlled, indoor shooting range . Inside the range, we have 14 fully functioning shooting lanes, with electronic target runners to adjust the distance. Handguns, shot guns and rifles are allowed in the range at a distance of 25 yards. 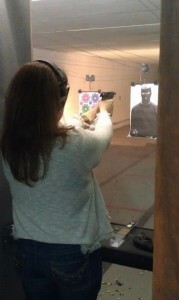 Members and their guest have access to rental guns also, Handguns $10.00 plus ammo and Long guns $20.00 plus ammo. 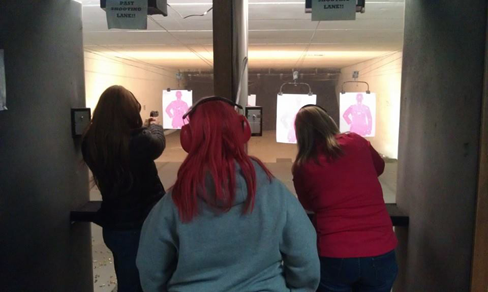 *Each Guest $10.00 This membership is designed for the shooter who does not shoot often. Only a few times a year. Unlimited Shooting! This membership if for the avid shooter, someone who likes to shoot a lot. This is a one time fee that gives you unlimited shooting for the whole year. Must have proof of same household This membership is the same as the VIP but includes the whole family. Must have proof of same address. WE HAVE GIFT CERTIFICATES THAT CAN BE PURCHASED FOR CLASSES AND MEMBERSHIPS THAT MAKE A GREAT PRESENT! ASK US HOW TO GET YOUR HANDGUN CLASS FREE!